Jennifer Aniston and Reese Witherspoon’s morning news show TV show has found some more beautiful people to cast. 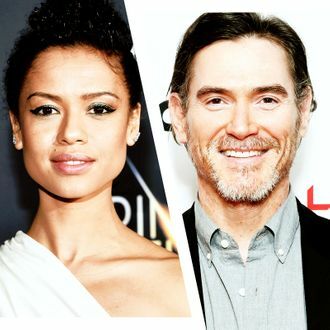 Vulture has confirmed that the as-yet-untitled series about the inner workings of a morning news TV show, which will debut on Apple’s streaming service, has cast Gugu Mbatha-Raw as Hannah Shoenfeld, “the whip-smart and charming head booker of talent,” and Billy Crudup as Cory Ellison, “the forward-thinking president of the news division at the network.” Yesterday, the series cast Steve Carell as an old-fashioned news anchor, while Aniston and Witherspoon are also starring in the project in unnamed roles. If they’re ever at a loss for ideas, there’s plenty happening right now they could dramatize.